When my Mom reached the age of 80 I noticed that there are some big changes in her and realized that she’s really old already. She’s a very strong woman physically and mentally except with the attacks of arthritis. When my father had a mild stroke and stopped working my Mom became both our provider and caring mother as well. She stood by herself providing us food, clothing, good college education and love as well. She has also cared for my father well until his death and continued with her support and assistance until I had my kids too. She’s a great teacher, the best wife and mother and now the loving grand Mom of my kids. Now that she has reached the golden age the years of living her life has finally taken its toll on her and she’s not that strong anymore. Although she has no sickness you will notice that she gets cough easily whenever she’s exposed and complains of aching limbs most of the times. I got nervous the other month when she almost fell the ground from the chair she’s holding for support. That’s the time that I thought of leaving my job again to be with her every day. Just like a kid who needs the assistance of Mom when he walks to and from the house my Mom now needs a constant companion to be with her when she feels weak and not feeling well. But since I can’t leave my job immediately I found the need for Personal alarms for the elderly when she falls or need immediate assistance. I agree with others that our elderly seniors in the house needs proper care and monitoring same as our kids when they’re younger. 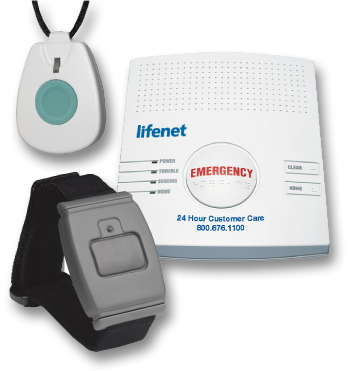 With LifeNet Medical alert systems our senior or elderly parent will be monitored 24/7 and can be assisted when they pushed the button on the emergency console attached to them. One nice good thing about it is when the person who pushed the button can’t speak or be heard they will contact all the listed and approved contacts. It’s easy to wear the button just like you’re wearing bracelet, pendant, watch or as belt. It is advised to wear them all the time even during bathing as it’s waterproof and can function well even wet. With this kind of gadget for our elderly parents we’ll be able to feel secured and relaxed. I hope your mom will be more extra careful when her arthritis attacks. You better get her that medical alert system just in case of emergency. Sometimes, I worry about my parents aging. I think that they might be too helpless to tend for themselves when that time comes. I am just glad that there are these so-called medical gadgets that would help them. I really should get medical alert system for Mom to assure us all that when she's alone she'll be monitored and can be assisted immediately when she needs it. What I like about LifeNet medical alert system is that it is so advanced it can be used even when the user/ patient has difficulty in speaking.